Please ask only one Specific Question. I do not give detailed reading as I have to read several hands in the time I have fixed for palm reading. pravin kumar wrote: What is your 1 Specific Question? I will try to do the reading with the images you have posted. My Computer know ledge is poor and hence I would not be able to rotate the image . 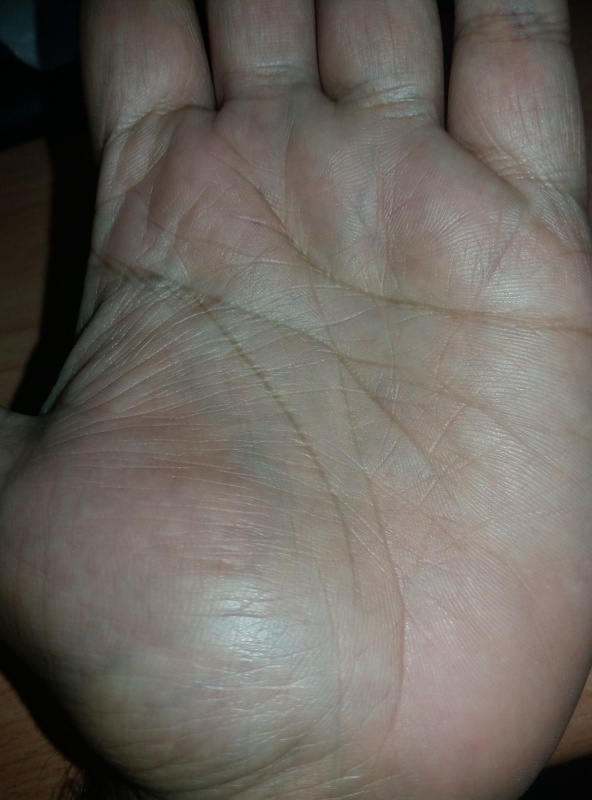 joakimmuscat wrote: I am very interested in palmistry. But am not able to understand the disposition of my line of head and life line as there seems to be many lines crisscrossing it.do I have a line of sun and solomon ring. I would be obliged if I could get a reading of my palm. 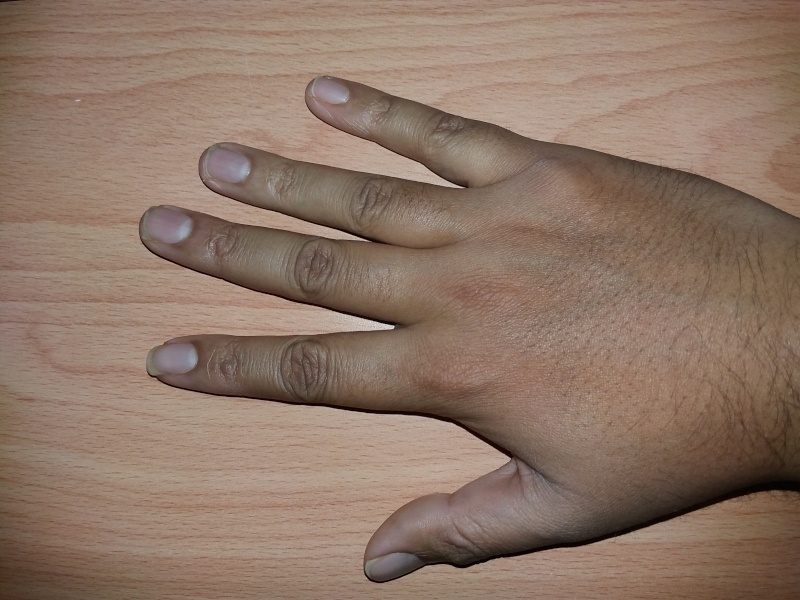 I am right handed . 30 yrs old , single male . Birth date 6th march 1986.
pravin kumar wrote: Please ask only one Specific Question. 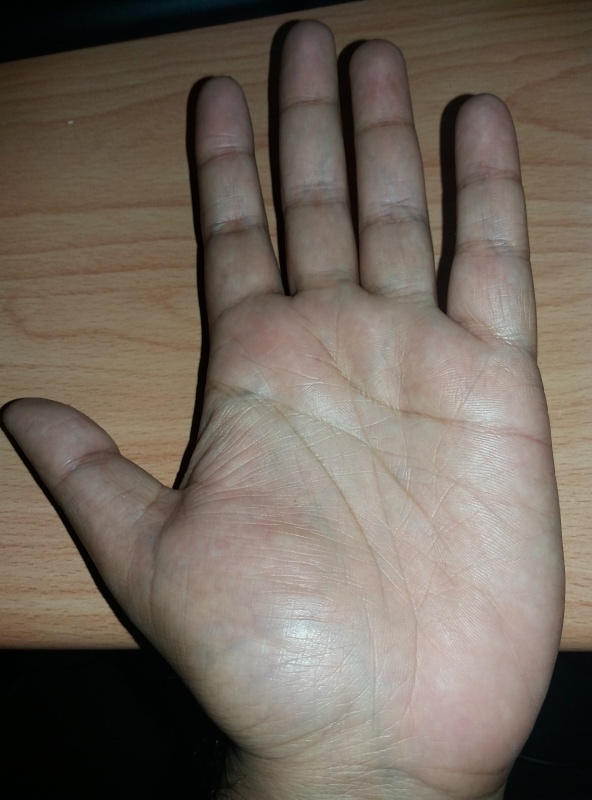 I do not give detailed reading as I have to read several hands in the time I have fixed for palm reading. What is your height? Secondly I find your Mercury, Apollo, Moon and Mars Mount strong. I cannot find the apex of Apollo and Mercury so I will give you strong points of these four mounts and you can tell me your nature. Once I get your answer I will tell you which Career is suitable for you. Mercurians are intelligent businessman, can explain things in a few words clearly i.e. they can convey their thoughts very well. Apollonians are creative, imaginative , centre of attraction amongst their circle of friends, loves everything that is beautiful, artistic and have color and form. Are all rounders as far as superficial knowsledge of almost all subjects. Moon very creative,imaginative, they live in their own world, get good ideas, are good writers and/or poets. Love the smell of water and would love to travel by River/Sea. Mars: Such a person is a fighter till the end. He believes in either Victory or Death. There is no such word as defeat in his dictionary. pravin kumar wrote: What is your height? Secondly I find your Mercury, Apollo, Moon and Mars Mount strong. I cannot find the apex of Apollo and Mercury so I will give you strong points of these four mounts and you can tell me your nature. Once I get your answer I will tell you which Career is suitable for you. Mercurian- I can explain things very clearly in few words any topic tat I have understood. Apllonians- I love everything thats beautiful and have colour and form, have superficial knowledge of almost all subjects. But I am not centre of attraction In circle of friends . I am imaginative not creative. I see vertical line on Apollo Finger. 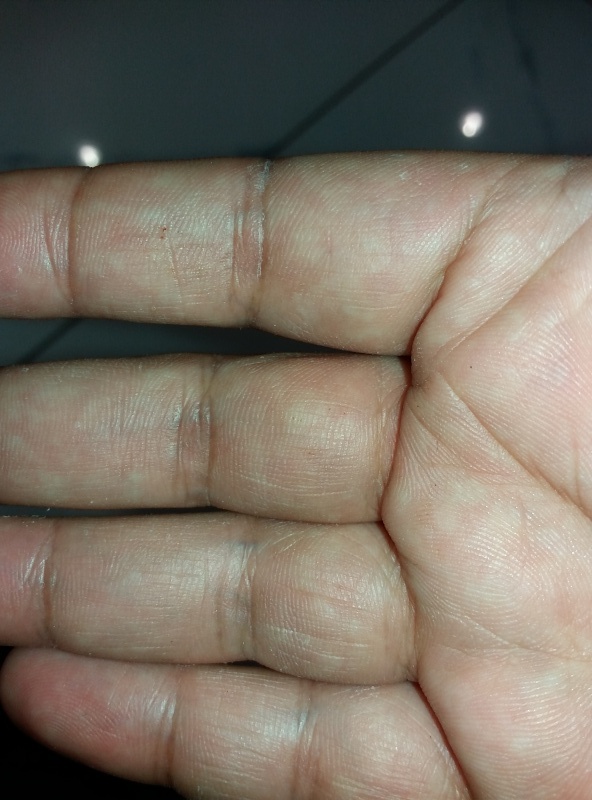 On mercury finger there are more than 2 vertical lines I think.Is there any vertical line on the Index Finger because this finger stands separately by itself. You could be combination of Apollo and Mercury or Apollo and Jupitor. Moon and Mars is eliminated. pravin kumar wrote: I see vertical line on Apollo Finger. 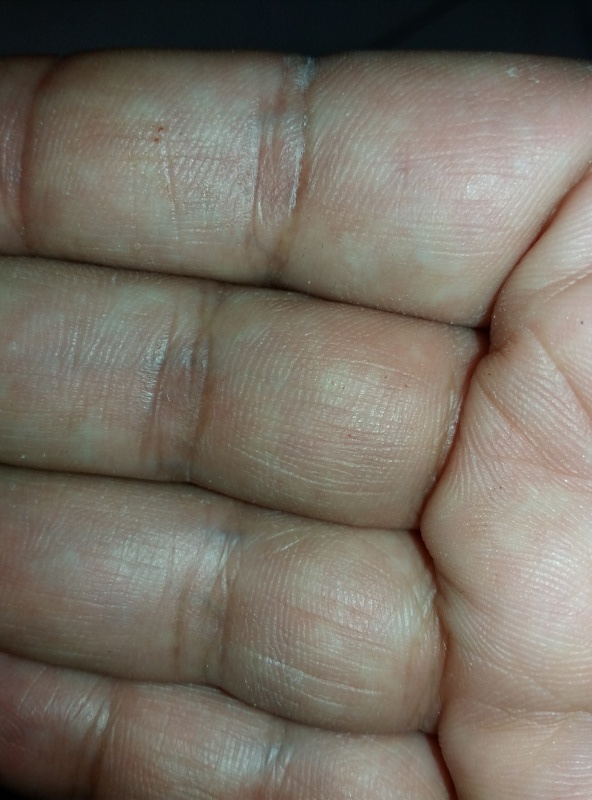 On mercury finger there are more than 2 vertical lines I think.Is there any vertical line on the Index Finger because this finger stands separately by itself. You could be combination of Apollo and Mercury or Apollo and Jupitor. Moon and Mars is eliminated. 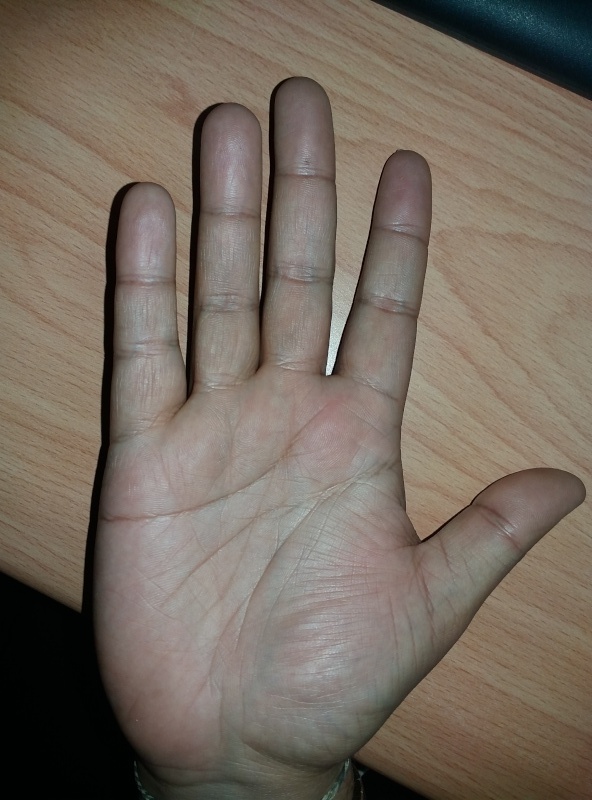 There is no vertical line on the Index Finger. They are skin ridges. If you had posted the image little larger or taken a little lower portion of the Index Finger also then I would have been able to see the apex of the mount. There are 3 lines on Saturn and your Saturn Mount is not strong. So you become Apollonian. Carrier for you suitable:music, pictures (art) sculpture, musical composition, design, and in many processes of the manufacture of beautiful tings. Painter, Sculptor, architect, composer, landscape gardener, rug designer, or decorator, marketing. These are some of the career options.